Training groups of animals – Bianca Papadopoulos (Episode 8). In this two part podcast episode we talk about a number of different animal traning topics with Bianca Papadopulos. (You can learn/read more about Bianca below). In part one we discuss vouluntary health training programs and training groups of animals. Enjoy. 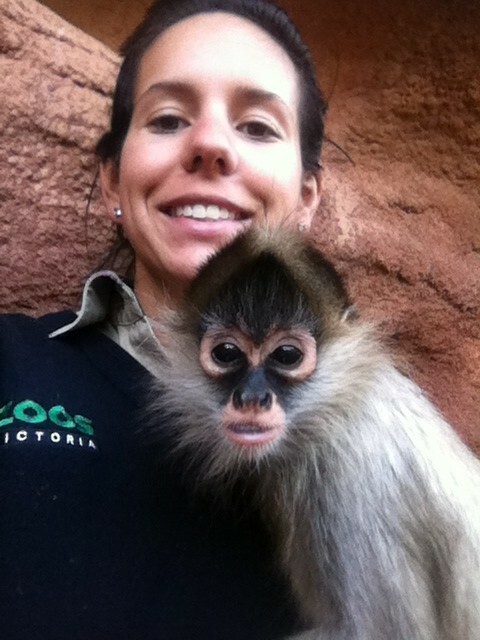 Bianca is a senior zookeeper at Melbourne Zoo, Australia and currently works with primates including Western Lowland Gorillas, Orangutans, Baboons, Mandrills, Gibbons and several other small primate species. Bianca has worked in the zoo industry for just over 10 years now. Bianca has always had a passion for animals and it was a dream of hers to become an animal trainer since she was a little girl. During her later years of high school, she began volunteering at Melbourne Zoo. After completing her high school certificate in 2005, she landed her dream job as a zookeeper at Melbourne Zoo working with Asian Elephants, Australian and Sub-Antartic Fur Seals and a range of different bird species. Bianca spent a year in that position before spending the next year working as a marine mammal trainer at Dolphin Marine Magic in Coffs Harbour, Australia and UnderWater World on the Sunshine Coast, Australia working with bottlenose dolphins, seals, sea lions and Asian small-clawed otters. 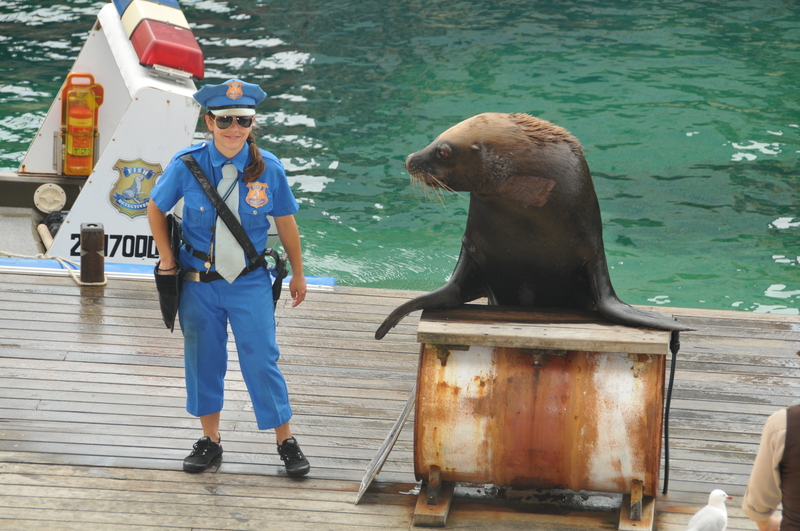 In 2007, Bianca was employed as a marine mammal trainer at Sea World, Australia. Bianca spent the next 4 years there working with Californian Sea Lions, Australian Seal Lions, New Zealand Fur Seals, Harbour Seals, Inshore and Offshore Bottlenose Dolphins, Little, Gentoo and King Penguins. 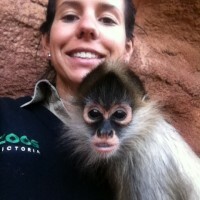 In 2011, Bianca returned to Melbourne Zoo for a position within the Primate Precinct and currently oversees all animal training programs on the precinct. Over the past 10 years, Bianca has been fortunate to volunteer at SeaWorld San Diego, Sumatran Orangutan Conservation Program and at Cuc Phuong Endangered Primate Rescue Centre. During Bianca’s career, she developed a passion for animal training within a captive zoo setting. Over this time she has been able to work with many skilful trainers and develop a set of skills in the animal training field. In 2015, Bianca was successful in a applying for a fellowship program through the International Specialised Skills Institute (ISS) which saw Bianca attend several animal training workshops/seminars in the USA and she was able to visit a number of facilities. Bianca now wants to disseminate that knowledge and show just how powerful positive reinforcement training really is. CLICK HERE to see the Frans De Wall video about Fairness with Capuchin monkeys that Bianca talks about in the podcast. Very nice Podcast with information on working with groups of animals. Bianca you explained what you learned very well and the information is important. This type of training has been happening successfully for many years in the marine mammal community as you both know. It’s wonderful to see it being used more in the zoo community. Sharing your experiences (which are impressive!) will hopefully inspire others. I look forward to hearing the second half and sharing your podcast with the keepers in my zoo. If we keep raising the bar in our training goals the animals and keepers will continue to reach higher levels of success. Interesting interview and very good content. Bianca gave excellent summaries of what she learned at the many educational opportunities that she had here in the US. Keep up the podcasts Ryan, well done! Thank you for the podcast – it’s incredibly informative! As an animal support project, we’re really happy that there are people like Bianca, who share their valuable experiences.